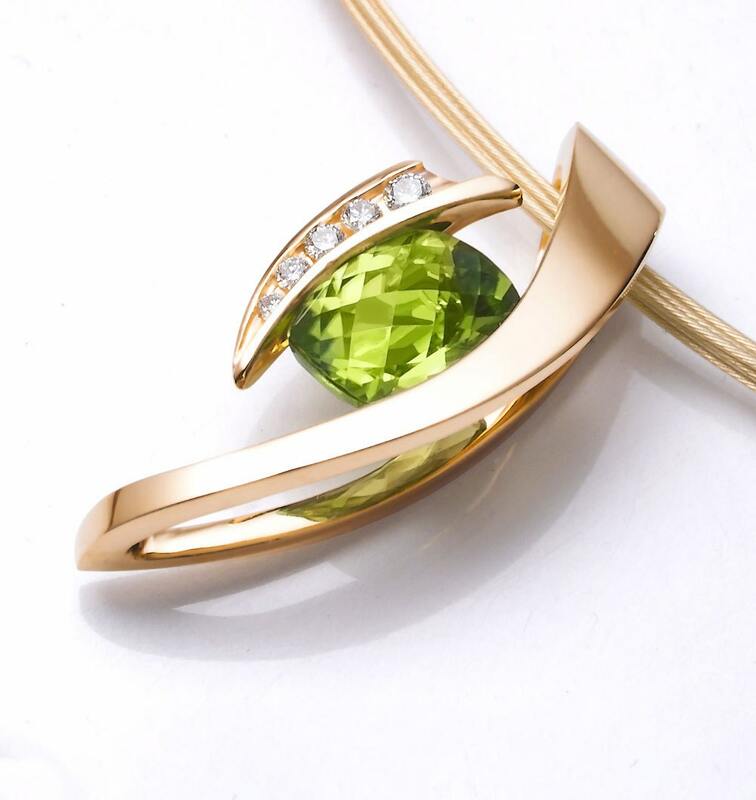 Peridot and Diamond Necklace - 14k Yellow Gold - 3374 - Does not include chain. 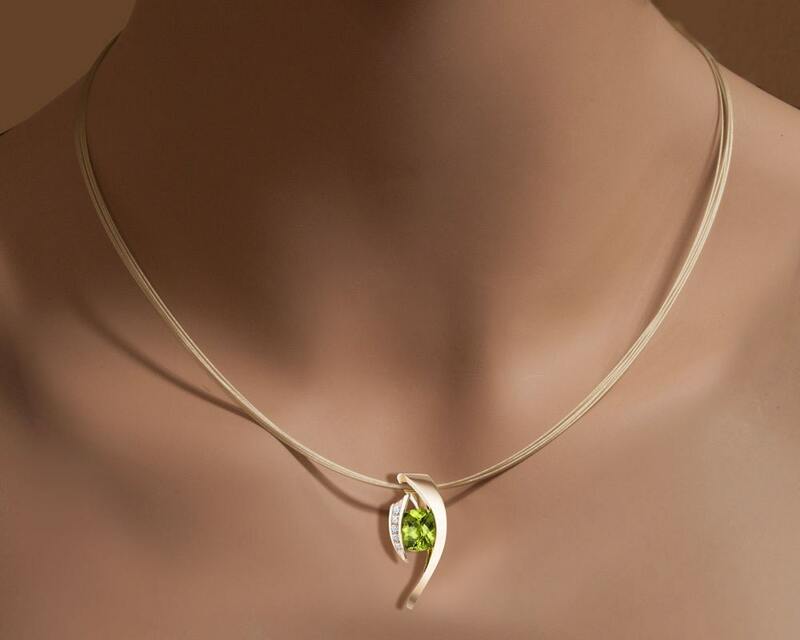 TO GIVE YOU MORE OPTIONS, A CHAIN IS NOT INCLUDED, BUT CAN BE PURCHASED SEPARATELY IN THE GOLD CHAINS SECTION OF OUR SHOP. 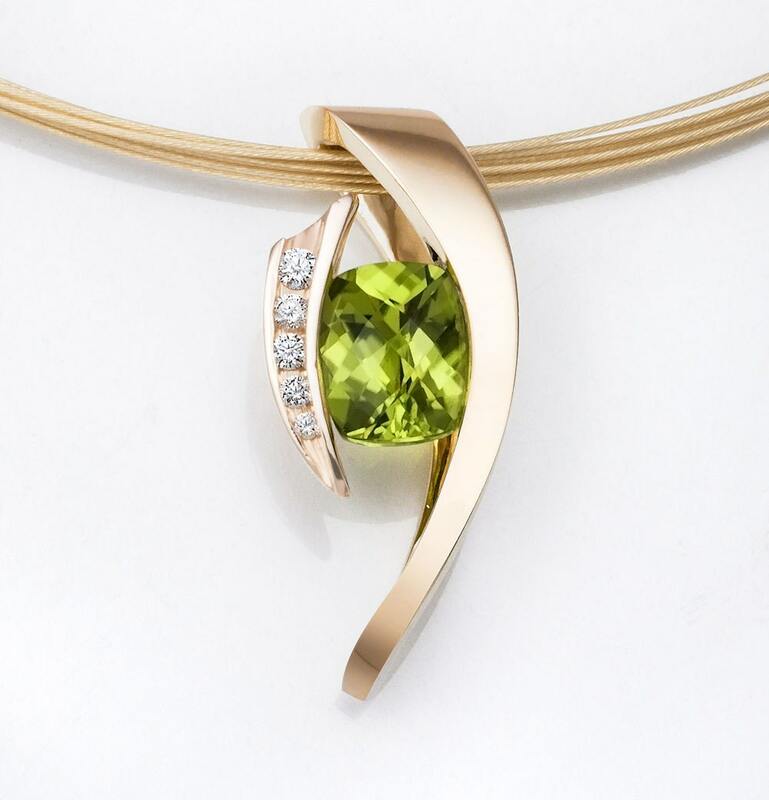 The two sides of this innovative pendant appear to be held together only by the tension set main stone. 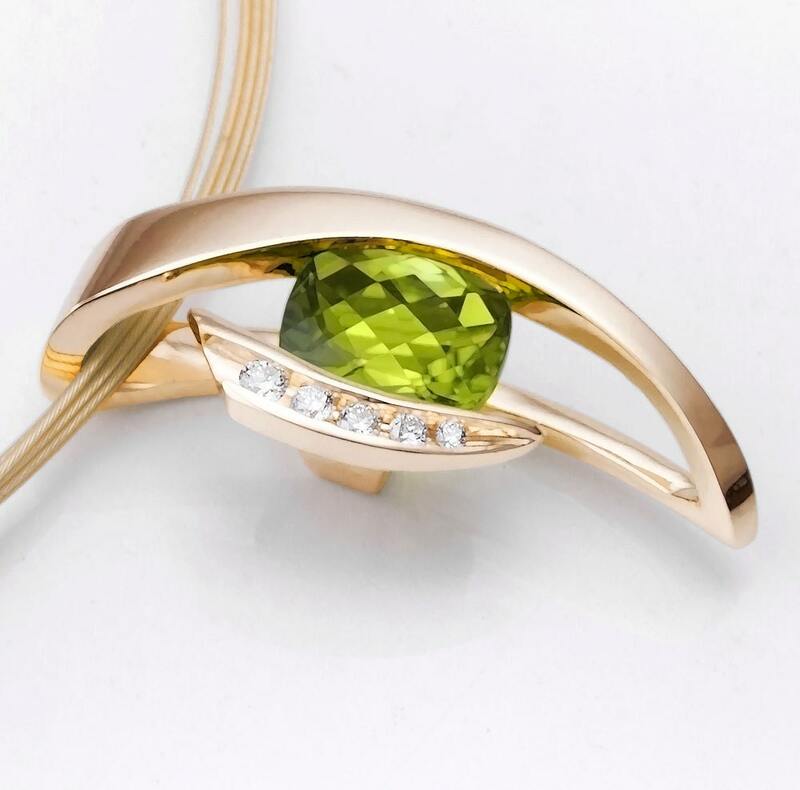 Cast in 14k yellow gold, this pendant measures 28mm x 12mm (1 1/2" x 1/2") and is set with a beautiful 9X7 cushion cut, checkerboard top Peridot and five Diamond side stones (.12ct t.w.) (SI-GH). We do our very best to ship within 48 hours of payment clearing. If it is going be longer than 48 hours, we will let you know. Our items are gift wrapped and shipped via Priority Mail which normally takes 2 to 6 days depending on your location. Please note that the delivery date given by the USPS is an estimate only. We cannot guarantee a delivery date. A certificate of authenticity is enclosed.